It’s February, and love is in the air — and in your library! Celebrate Library Lover’s Month with programming that will keep teens engaged. Library Journal Mover and Shaker Emily Ellis shares ideas for STEM experiments, craft projects, recipes and much more! 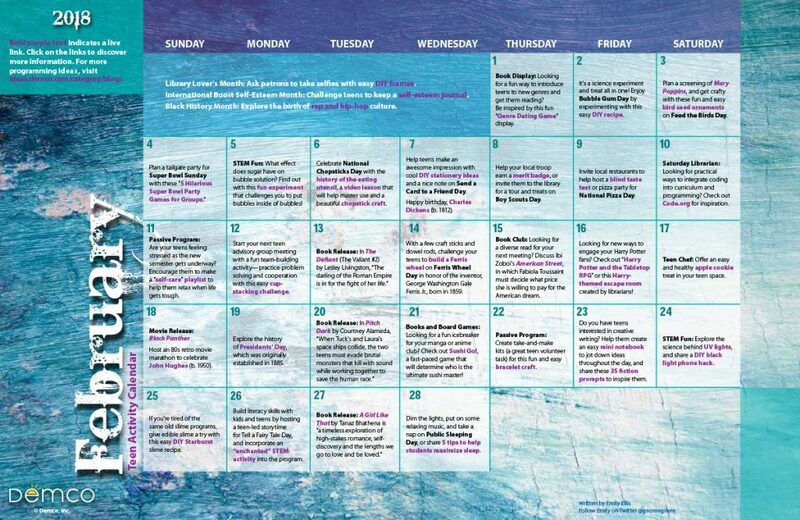 Download a printable 8.5″ x 11″ version of the February calendar. 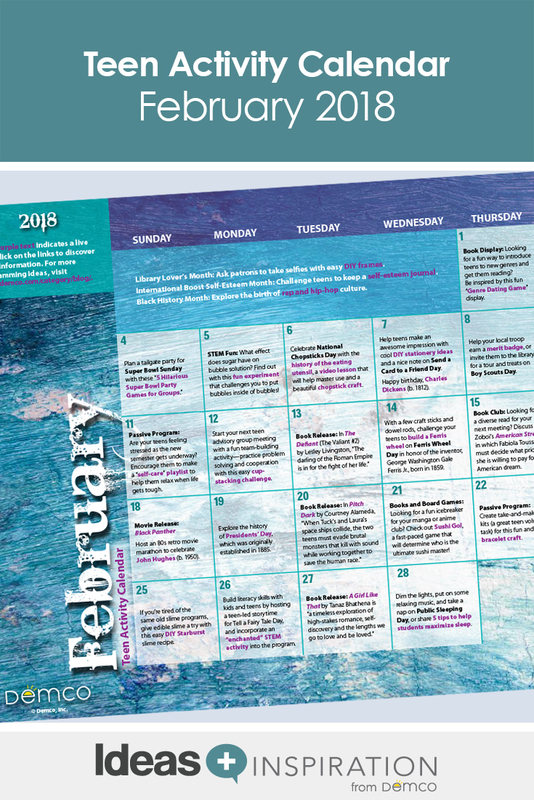 Download a printable 11″ x 17″ version of the February calendar.